This app has a feature that most apps don't. It crashes for no particular reason. I cannot confirm what others are saying about formatting problems. Formatting here looks okay. Maybe it was fixed on the server side. Looks nice, but it doesn't feel like an app I'll use much. I'd rather just look at the mobile web view of the site. I'll check out updates, though. Update: app no longer crashes. This app shows me local news stories from four months ago! Maybe you can’t get today’s news but at least show me this week. Sheesh. App is fixed. All is well again! After experiencing a number of problem, stopped using the app altogether. I recently deleted & re-downloaded it & it works great! the latest update is a vast improvement. Thank you! Love the emphasis on local news! So happy to have found that the patch has an app! Great way to keep on top of local happenings! I gave it another look after the Developer urged me to give it another try. Still useless. Absolutely nothing here I haven't already seen reading my local papers. Why bother wasting my time to click on links to articles I have already read? I'm done! ------------------ The navigation with the upgrade is a pain in the rear. But more important, at least for my 'hood, the stories are boring and useless. Poor subsets of what I can read in the paper. And that assumes I can even get stories to load. Most of the time the App says there is a connection error with the server. It is June 29 and the stories displaying are mostly from mid-May. Useless!!! Keeps us up to date on the latest info in the area and beyond. Great information everyday!!! This is the first time that I have ever written a review. Patch keeps me informed about my former neighborhood. I moved from Wilmette to Florida in 1979 but I still miss my old home. It’s so nice to keep up to date thanks to Patch! Excellent local coverage. An absolutely GREAT resource for schools and other community assets to share their news. Probably the “newspaper” of the future! Love this local news app. I would give this app a 5 but lately it’s been erasing my local towns that I like to keep abreast of the news and it erases my local towns. I’m hoping this last update will take of this. Then I’ll give this app a 5. See for yourself if you do not mind waiting for 4 or 5 minutes for a web page to load if it loads at all. I do not know where all the high ratings come from. The content is always abbreviated so once a page loads and you think you are going to find in depth content...I don’t think so. I don’t submit reviews very often...maybe that’s it. Good luck readers. I signed up for Patch emails for local news updates in the small town I live in. Those emails were clickbaity (open the email, read a teaser, click on “read more,” and get taken to a collection of articles where I have to click yet again on the one I want to read). Taking a reader through that many clicks made it seem like that’s all they were after. So I downloaded the app and went through the town selection, opted in for alerts, clicked “let’s get started,” etc. to finally read some local news. The next time I got an alert from the app, Patch made me go through the entire town selection/set up alerts/click click click process as if I had never set it up before. And this is after clicking on an alert *that the app sent me*. Next day it did the same thing. After a few days of this I deleted it. I love this app! But there is a couple of problems... first off my grandparents live in Utah, so I want my news there but it will not let me put Utah as one of my news thing. If you could fix it then the app is great!! You should get this app, it is very reliable, and fun to use! I think this app is great, but it doesn’t ever send me push notifications even though I’ve made sure they’re on several times. When I check the alerts tab in the app stories have always piles up but I never get notifications about them. Please fix — I got this app mostly so the push notifications would help me stay up to date! Like the app a lot, but the amount of ads that you need to navigate through to follow an article is VERY ANNOYING !!! Interface could be improved. It’s confusing to navigate locate all articles in this app. I love to read the news, but when it FORCES YOU to acknowledge that you’ve read it, the site has gone too far. I am trying to figure our how it will leave me alone now! It would be nice to get a deletable email to link us to the news if we are interested and have the time, but this forces you to acknowledge that you have read their articles. I get my news update every day from this app, quite happy with it! Use as the time,only thing is seems that be a bit behind real time. It’s great to learn about local events & issues I would otherwise not know about. Keep up the greatness. Incredible and great way being informed of news across Maryland! Nothing is free . Starting to wonder if this site is not a scam. Watch the news . They need to be more careful of the advisers. Because if this becomes the norm, I will delete it!!!!!!!! I was getting the emails and then decided to try out the app. I’ve been using it for quite some time now. 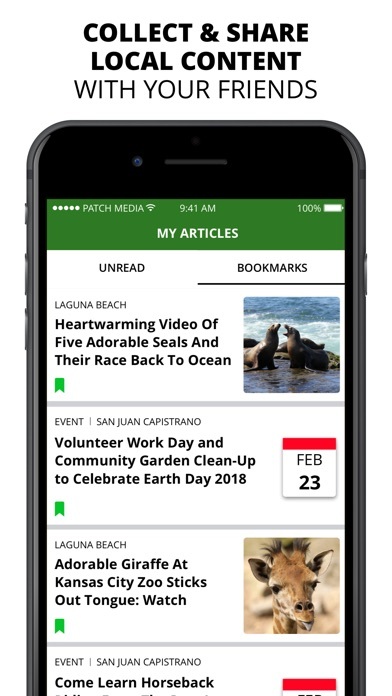 I love the ease of use, that I can get events, news, updates on news, entertainment and other goings on in my community all in one place. I’m also impressed with how fast important alerts are received and the follow ups. This app is fantastic at keeping me informed in every way. It runs great and I am very happy with it. Kudos to the team who keep this app running top notch! Or better, an editor. As much as I like the local reporting when it takes place, the lack of proper grammar or spelling makes it look Bush League. The childish writing just reinforces the pattern. Patch, find kids that have graduated high school without CT. The app continues to improve hence 4 Stars now. There are still occasional issues with links taking you to the wrong location. As for the content, spelling, grammar, political bias, sensationalism and editing, Patch is on par with Newsday. That’s a fairly low standard. Basically the Notification gives all the info I need and reading the story is usually unnecessary. Really wish tho I would stop seeing high school news I don't have that need. I like the patch! It has up to date news, weather and real estate! Give it a try, you’ll love it. Local and citywide updates much better than TV. As Local as Local Nees Can Get! You get to define “local”. The news I got was for places up to 200 miles away. It is a nice idea, but if it doesn’t work, why bother. Great app for getting updates about our hometown as well nearby cities!!! Very informative!!! 99% of this shows realtor sales in around your area. Weather is WAY off! Yesterday showed 100% rain and we received a big fat ZERO rain all day same went the day before. There is news, but only average of 2! Today there was no news, just again, you guessed it...MORE HOUSES FOR SALE! When you do receive news (it’s not updated regularly) it’s usually already a day late. And it doesn’t even allow me to choose my town, just the next largest city close to me! Worthless app! I get immersed in articles that pop up in my notifications. Interesting and important stories that the big news agencies don’t bother to cover. Local stories that are important to me. After town is selected and notifications enabled tabs at bottom of screen do not speak when navigated (minor problem). Headlines speak but articles under them do not speak. If articles are pixilated pictures there’s nthing patch developers can do to improve this situation though. Please test this app with VoiceOver turned on and both look and listen as you go for mismatches between what you see and what you hear. Those mismatches will be the VoiceOver accessibility problems and yu may even find more than I found. I love this! It’s great to know local news! Too much political bias in some of your articles. Get better writers. Local news typically avoids it. Your writer “Colin M” is writing with an agenda that cannot be allowed to continue. This is a news app, not his personal Facebook page to make political rants. Get rid of him. It keeps me informed of my local surroundings- traffic updates, events, many more.. I actively use Patch ! Great app lots of info. I love it. I check it everyday and get notifications too on the spot. Great app. Thank you. 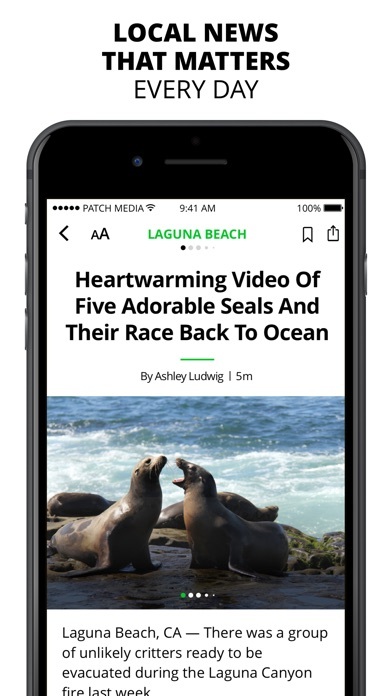 Great app for the local news that doesn’t earn coverage in the printed rags. Crashes upon launch every time. Works ok on my iPhone but Crashes upon launch every time on my older iPad. I just started using this app. Very useful information about our location. Very useful information for our family to receive covering the latest happenings in our region. Nicely designed and very user friendly. This is a great app keep me notes every thing around me! 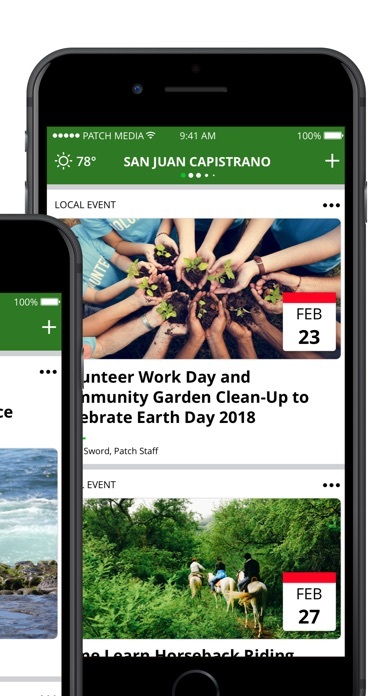 Patch is the perfect app for a quick update on news in your neighborhood and local area - Patch covers topics that have long since disappeared from the daily metro papers and online apps. I check Patch daily and follow on Twitter - quick and easy way to stay informed - highly recommend. I’m new to the Pittsburgh Patch and live in Jefferson Hills area. I tried a few from the South Hills area and deleted the Apps, not living in those areas, the information wasn’t relevant to me. I’m a member of the Carnegie Museum and I do go into Pittsburgh frequently and I like news of Pittsburgh. The Pittsburgh Patch seems to cover a wide range of information....very satisfied with the content. As far as I’m concerned it’s an excellent hidden news source. So far I really like this app. My go to source for local news. I would like to see more information on restaurants in the Mchenry and surrounding areas. Great app. I use it on my iPad and iPhone. This area lacks news coverage and the Patch steps in nicely and provides the local news and happenings to keep me informed. I am changing my review to a one-star from a five-star. I used to love it, but what happened?! What did you do to it with the update? It asks for the basics each and every time I start this app, such as, which cities do I want to add. I mean how many times do I need to input that? I tried signing in with Patch, it asks that I sign in with Facebook. Fine. Then I go through the same rigamarole of answering all the questions again. Deleting this. The latest version looks nice but keeps asking me to enter my favorite Patch (I have 4) every few days. I’ve tried sending notifying them from within the app but the email keeps getting rejected. Next I tried contacting them from within the App Store but found that to be impossible. Perhaps I’m doing something wrong and I’d love to find out. I used to love the app but it’s now useless. Too many clickbait articles. Deleted. This app was great before this update. Now it looks amazing but I can’t sign in. There is no sign in section like before and when I open the app after enough time, it makes me pick my patch/s like a new user. I also tried to get help from the feedback and it got sent back to melt email because it can’t receive messages. If I can sign in again I will gladly change my review to 5 stars. The reason I went as low as 1 is because when you break main functions of an app, it’s worthless. It’s like having a kindle app that all of a sudden can’t open ebooks. Saving my settings and bookmarks is a major part of Patch. Please fix so I can rate it what it deserves when it functions properly! Thank you. Name search works but town cannot be selected. The app no longer works at all for me. I deleted the app and reinstalled. Everything now works correctly. Keeps me locally informed, yet I feel that it’s a bit behind in user friendlyness. The app feels a bit difficult to maneuver, but I do believe it is great, but young for online/iPhone information. It shows I have 2 messages, and I can not clear 2 even though I went through, all all articles. I believe it is technical thing that will be fixed as the Patch grows. 4 stars because it’s the only online local news, that I feel gives true fast local news. I would give it 5 if better technically advised. Today’s user’s need the simple, fast, and easy. I like the app but can't delete stories that are already read. I also would like to be able to pick areas that I want and not those who are out of my lifestyle. 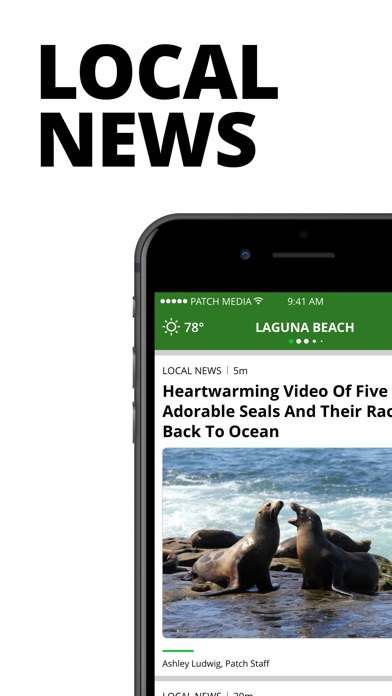 The new Patch app is a major upgrade - it’s super fast and makes following news from multiple towns super easy. I follow where I live, where I work, where I get up and where I vacation. Love the ability to customize the notifications by town too. I highly recommend enabling notifications as well - the local alerts are amazing. I love the local news and updates. However, too often, when you click on a headline, it’s the wrong story!! This app is great. It’s very informative. Good stuff. Makes my patch extra patchy. Shows new I would have missed, and does it in real time. This version is a vast improvement over all previous versions. The ability to save an article was missing in prior versions. There are still times that articles won’t load or take you to the wrong story. As for clickbait, I haven’t used it enough to say. Reading stories should remain in app. Taking a detour to Safari for more stories and ads is wrong. I don’t want to use cellular data on additional unwanted ads. It’s also extra work closing down Safari tabs. As for the content, spelling, grammar, political bias, sensationalism and editing, Patch is on par with Newsday. That’s a pathetically low standard. Basically the Notification gives all the info I need and reading the story is unnecessary. It keeps informed of what’s going around locally within a few minutes compared to waiting for tomorrow’s newspaper. Love this app!! Current, informative, get news and info at anytime for any town in our State!!! I normally don't write reviews, but I'd like to see this app get more positive ratings because it's the BEST local news apps I have EVER used! I don't even know where I would go to get the aggregate of local news information Patch provides for as many local areas as you like. Patch let's you add multiple neighborhoods, so you get the latest news for that AREA, which is really where this app shines. From changes in parking rules to local accidents to subway closures to weather-related events, I've never seen a smarter or more sophisticated news app! I live in NYC but also have a place in the south, so I set up Patch for that area, then we had the string of Hurricanes last year, and this was the ONLY app that provided me with crucial updates on my neighborhood conditions, as I was not there during the storms and had no way of knowing the damage to my local area. Things like which roads remained closed, which were recently cleared, where there were downed trees, if bridges were open, local curfews and garbage pickup. These may sound like small things, but you seriously can't get this info from other sources, and it's all organized in ONE PLACE! Patch gives you the stuff big news conglomerates don't care about. 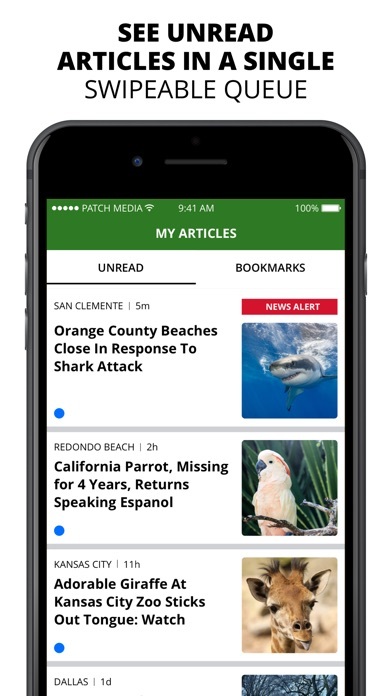 If you want more than crime and politics in your news feed, then Patch is the app for you! Thanks, devs!! It's a good app to let you know what's going on in your neighborhood and around other places. Keeps me posted on everything that is happening near me! Slightly slanted politically. Otherwise they give you just the local news you’ve looked to read. OMG...Already thought Rochester Patch was frustrating to navigate & the latest update made it much worse! Pleeeease Patch - make the layout EASY & simple & organized! Difficult to navigate & open posts / links to other pages. Back button never works smoothly. Posts in his local area are rarely up to date / old news. oh well, maybe when I move to a larger city.